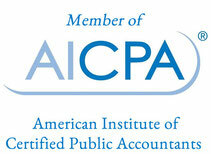 Certified Public Accountants - King & Lenson CPAs "At King & Lenson CPAs our priority is your bottom line." Welcome to King & Lenson CPAs! Terri King and Preela Lenson are the CPA owners of King & Lenson CPAs, a woman-owned Boca Raton CPA firm that provides comprehensive accounting and tax services for business owners and individuals. Our company has a reputation for expertise and integrity, providing accounting and tax services to over 3,000 clients nationally and internationally. We are dedicated to providing professional service with a personal touch at a reasonable price. Serving the Boca Raton and surrounding areas since 1991, our all-woman staff consists of over 61 years of combined experience. Sun-Sentinel readers elected us the Best Accountants in Boca Raton for 2013. King & Lenson CPAs are members of the American Institute of CPAs, and the Florida Institute of Certified Public Accountants. Terri King and Preela Lenson understand that businesses and individuals need competent and reliable financial advocates who remain up to date on the latest tax laws, and go the extra mile to provide you with accurate information. 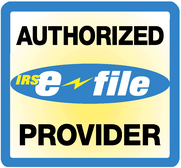 The firm prepares federal, state and payroll tax returns and also financial statements on a timely basis. Our accounting services include bookkeeping and tax audits. For your convenience we provide an annual checklist and newsletter to communicate any changes in the law. We have staff available to make house calls locally for your financial needs. Our top priority is your bottom line. There are numerous options available to you that have significant financial impact on your bottom line. We educate ourselves annually in order to make sure we are up to date on the latest tax laws (*see our Newsletter link). Our expert personnel have very sophisticated planning tools that will assist you in making the best possible decisions regarding your available options. We work with you to retain your assets, grow your business and maintain your personal estates for the length of your lifetimes, so that you can pass your assets on to your families.